In this tutorial Brian will teach you a really cool technique for converting colors to black or white while still retaining detail! This is very helpful for retouchers or photographers who are asked to photograph a product line and are given one product to photograph yet the client wants you to create multiple versions of it. The product line could be anything from clothing & furniture to toasters and guitars. 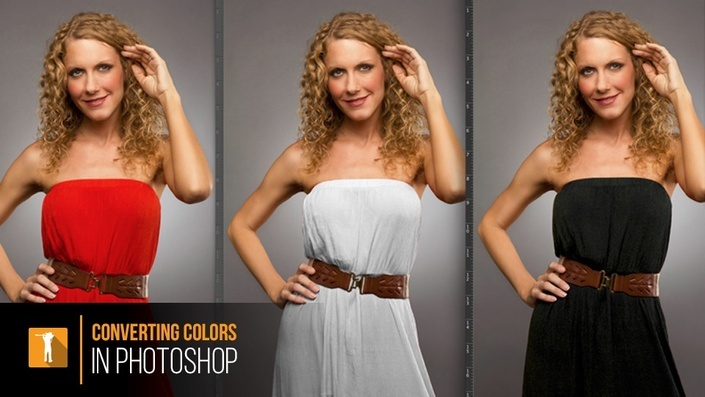 This tutorial will give you the tools you need to successfully create a conversion to black or white that looks as if you photographed it that way. In this example, we will take a vibrant red dress, and convert it to a black dress while still retaining all the detail as if it were a black dress to begin with. Then we will make another conversion where we will make the red dress white while still retaining all the detail. This technique is not as obvious as you might think....Check it out! Note: This is an older tutorial that has been re-formatted and re-branded for this new community that I'm forming. Stay tuned for new free and premium tutorials coming soon!